Why Is Trump Boycotting the Fox News Debate? Fox executives are also troubled that Ailes’s principal adviser right now is his longtime personal lawyer and Fox & Friends contributor Peter Johnson Jr. “He wrote the statement with Peter,” the source explained. “Peter is running the war room,” another Ailes friend told me. Fox executives are worried that Ailes is relying on an attorney with scant communications experience as the network is reeling from the biggest PR crisis in recent memory. Historically, during a crisis like this Ailes would have huddled with his veteran communications guru Brian Lewis. But Ailes fired Lewis in 2013 over his concerns that Lewis had been a source for my 2014 Ailes biography. Since Lewis’s ouster, Johnson has taken on the role of media counselor. New signs emerged today at just how frantic Ailes has become to get Trump back to the table. The two men have not spoken since yesterday, sources told me. This morning, Joe Scarborough reported that Ailes called Trump’s daughter Ivanka and wife, Melania, to get through to the GOP front-runner. But Trump is saying he’ll only talk to Rupert Murdoch directly. 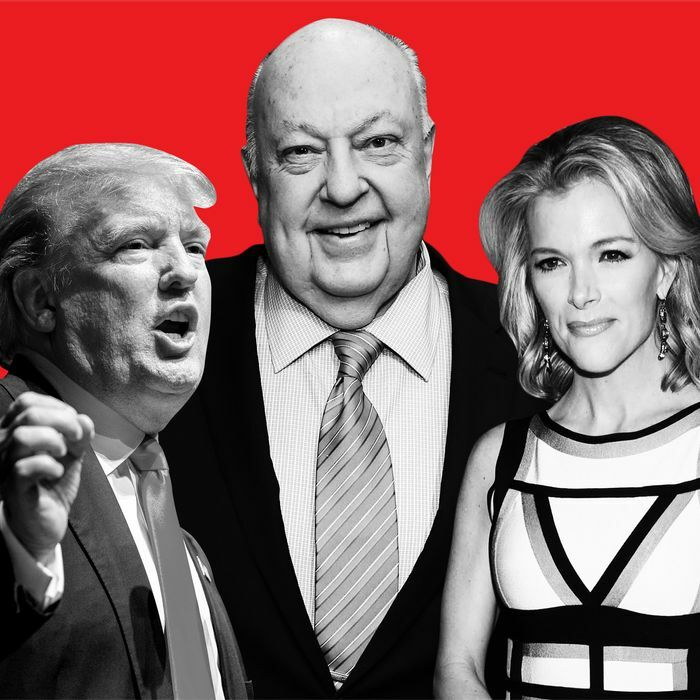 In a further challenge to Ailes’s power, Bill O’Reilly is scheduled to host Trump. Last night, Ailes directed Sean Hannity to cancel Trump’s interview. O’Reilly’s refusal to abide by a ban adds a new dynamic to the clash of egos. For O’Reilly, this is an opportunity to take back star power from Kelly. Sources say O’Reilly feels he made Kelly’s career by promoting her on his show, and he’s been furious that Kelly surpassed him in the ratings. For Ailes, the internal dissent over his handling of the crisis would seem to only weaken his grasp on the helm of Fox News. Rupert Murdoch has become more hands-on at Fox since questions about Ailes’s faltering health have been raised. Now Murdoch has to wonder why Ailes, who runs the most valuable asset at parent company 21st Century Fox, is getting PR advice from a lawyer Ailes personally pays. A spokesperson for Murdoch did not return a call.